There are no legal fees unless you recover money. Contingency lawyer fees are fees that depend on a lawyer getting a settlement. Usually they are 1/3 of the settlement often after medical bills are paid under PIP. 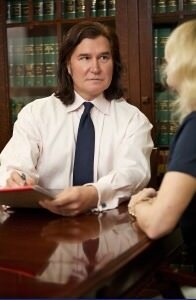 At our firm, if we go to court or mediation, the charge is 40% of the recovery. It is our belief that most personal injury attorneys in Oregon and Washington state charge the same amount; that we charge the standard contingent legal fees for this area. 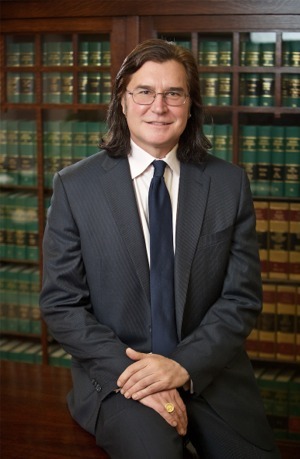 An accident lawyer, or personal injury lawyer, provides legal representation in cases in which the plaintiff has been injured whether physically or psychologically, as a result of the negligence or carelessness of another person. The responsible party in a personal injury or accident case can be another person, a company, a government agency, or another type of entity. An experienced accident lawyer can help you recover losses due to the accident and will also guide you through the process, prepare the proper paperwork, and help you fill out and file everything appropriately. What is a Contingency Lawyer Fee? The contingency fee is a sum of money that a lawyer receives as their fee, only if they win the case. It is also a payment agreement that the Plaintiff makes with the attorney so that you do not have to pay legal fees until you win compensation. From that compensation, the lawyer can then take their percentage for their fee. The biggest advantage of a contingency fee is that you do not have to pay anything to your lawyer up front and immediately; this alleviates you from the pressure and stress of having to face large legal bills while you patiently wait for your case to go to court. Another big advantage of a contingency fee is that the lawyer will not collect any type of fee if they lose your case. This also ensures, in most cases, that the lawyer is completely dedicated to you and your case and are willing to fight for you and gain the victory. It is added incentive for them to win the case. Depending on the state you are in, the fees may vary for each personal injury or accident claim. Some state statutes will place a limit on the amount the lawyer can take as a contingency fee. These fees typically range between 33 and 40% of the settlement amount. Other than contingency lawyer fees, there are also hourly rates as well as fixed fees for services. An hourly rate is very common in Oregon, but are usually only employed for cases regarding family law matters, rather than an accident or personal injury claim. A lot of the hourly rates you will find in Oregon will also require a retainer. A fixed fee is a fee amount that you pay to the lawyer to represent you for a specified amount of time. A fixed fee is most commonly associated with criminal cases. It is a set amount that you will have to pay them. It alleviates any extra charges or surprises. It is best to discuss your options with an experienced Oregon personal injury and accident lawyer in your area to determine the best way to proceed with your particular case. Sometimes the options presented in addition to the contingency fee option can end up costing more in the long run. The contingency fee is the most common because the lawyer will be more motivated to proceed with the case and win so that they can collect their fee. If they lose the case, they will also be losing time and efforts that were placed while representing your case. An accident case in Washington state can usually be settled one of three ways. A settlement can be reached, you can go to arbitration, or you can go to trial with a mandatory ADR. Accident cases in Washington are treated more as personal injury cases and are far less technical. Most of the time, they will attempt to negotiate and settle with the insurance company directly to avoid additional legal costs and times. The contingency fee agreement in Washington includes the time and labor that will be required for the case, the difficulty of the case, and the skill requisite that is required to properly provide legal services. All of the elements regarding representation including the base fee rate and the expenses will be discussed and disclosed to the client, and the contingency fee agreement will be put in writing and is then signed by the client.